●Bands：The JFK/ THE LADSBEAT/ Nebula/ SOUL-D! ●Bands：The JFK/ the knowlus/ Medical Circus/ …and more! It's a only 2MAN rock n' roll show!!! ●Bands：アシュラシンドローム/ 500.000.000YEN/ Whothe猫（猫騙show、minzoku、PeaとWhotheBitchのコラボ）/ 鹿の一族/ GQ06/ wash?/ WhotheBitch/ JinnyOops!/ ザ・サイレンズ/ BRANCO/ 無限放送/ HANZI BAND/ The JFK/ ELECTRIC EEL SHOCK/ Boiler 陸亀/ …and more!!! ●Bands：The JFK/ KING GANG RIDERS/ sebastian yellow club band/　HEAVENLY LANE/…and more!! ●Bands：The JFK/ the waruinamida/ マイティマウンテンズ/ …and more!!! ●Bands：The JFK One man show!!! ●Bands：GOLGO BUTCH/ The JFK/ 大谷のスワンダイブ/ GROOMY/ BO-PEEP/ SOUL-D! 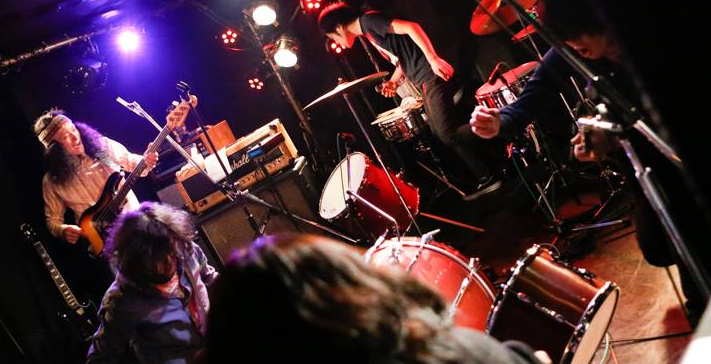 ●Bands：TROLL8/ トリルダン/ The JFK/ GROOMY/ SOUL-D! ●開場：20:30/ 開演：20:30~ Party all night!!! ●Bands：The JFK/ CAMPING TRAILER/ tape me wonder/ …and more!! ●Bands：The JFK/ ベルノバジャムズ/ブリキオーケストラ/ パプリカン/ HONEBONE/ THE PiEOTS/ FRUITSEXPLOSION/ and more!!! ●Bands：SPUTNIK KOMBINAT/ 多火油機団/ The JFK/ ホトトギス/ SOUL-D!